Thanks, but this is easier said than done! When the time comes I'll speak to a specialist tuning company. I have a Unichip ECU dealer near me who fit these kind of piggy back ECUs. You really don't need a piggy back computer, I only did it because I had a bigger turbo on. A factory MG6 turbo puts out 7psi if you just flashed your original ECU to 13psi that should be fine for your turbo and engine and it would still feel fast. If you push your turbo too much it could blow and may potentially damage your engine. I rarely go to 13psi driving around town but it feels good when you hear the roar of the engine passing a car on the highway I haven't really raced anyone with 20psi yet, I'm just waiting for the opportunity to arise. 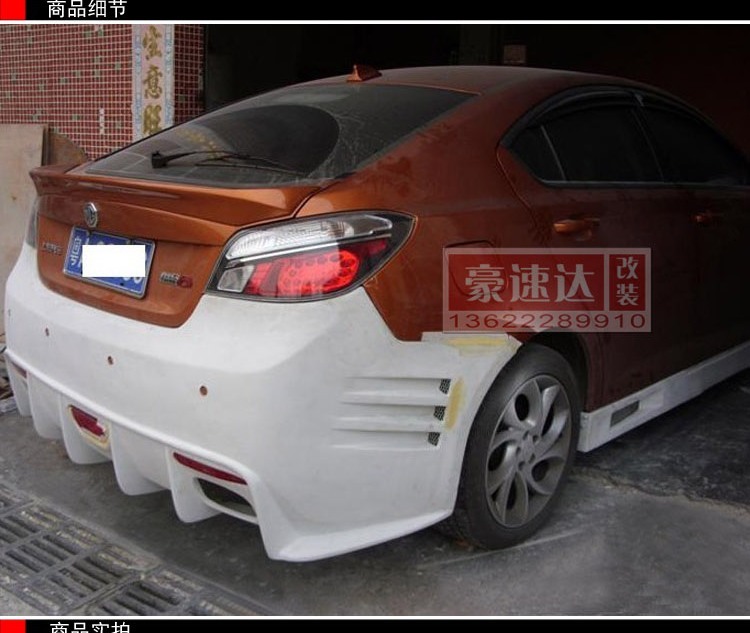 When you're ready you can get this body kit for your MG6 , It's made of PU hard plastic I think and they're really cheap. I use the same materials on my car. I will be following this thread with interest. My warranty expires in July and, like most, would like to see 200bhp. I'm not worried about maximum power like the 250bhp but 200 is a must. Also like the vented wings but have never seen any for sale. My aim for 2017 is custom diffuser on standard rear bumper, quad exhausts, induction and a big spoiler (similar in style to the ZS extreme spoiler). But the power upgrade would be great too! Very nice build. How did you manage to overcome the gearbox issues? 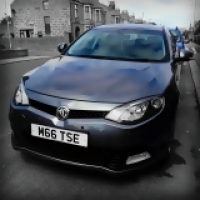 The MG6 Gearbox is pretty much at its limit from what I am led to believe? 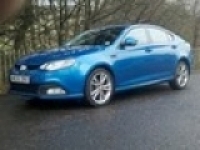 or is the 550 box different to the MG6? Figo wrote: Very nice build. How did you manage to overcome the gearbox issues? Roewe has an automatic gearbox in his 550 car which is more capable of using more power and torque than the present UK petrol MG6 one. I would be very reluctant to try using his achieved power levels on my 6. Smokey wrote: I will be following this thread with interest. My warranty expires in July and, like most, would like to see 200bhp. I'm not worried about maximum power like the 250bhp but 200 is a must. Also like the vented wings but have never seen any for sale. Where I'm living and working at not from there are literally thousands of shops that sell aftermarket and genuine parts for the MG6 and the Roewe550, if I were to have an accident I could get it fixed within a week. I'm sure there are MG clubs here as well but the language barrier would make it difficult for me to join to discuss about cars. 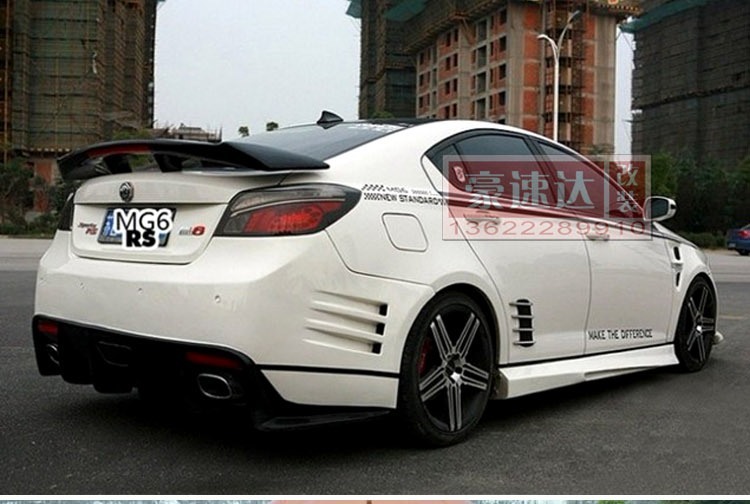 That is a good question, and don't quote me on this but I think the Roewe and the MG mechanical parts are the same, I have seen pics of the MG6 in the other thread and even the chassis looks the same as mine, only the body is different. 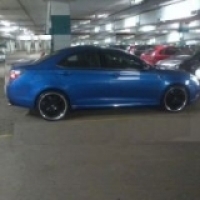 As for my 5-speed tiptronic gearbox I think it's handling the power as well as expected but as I mentioned earlier I don't push the car every time I get into it, it seems to be pulling well on 20psi but I usually leave it at 13. The gearbox has a TCU (Transmission Control Unit) unfortunately there is no reprogramming for that yet. For me to achieve high torque I use an electronic throttle controller and the tiptronic and this would allow you to change gears quickly. Check out the electronic throttle controller from Cammus it makes a huge difference. It's only a device that you plug into your accelerator. I will post some pics for you to see later. I have this on my car. You can also get this on ebay and should buy it from a Chinese vendor. It makes a real difference in torque but doesn't give extra hp so it won't damage anything on your car. I've also copied and paste details of this device. 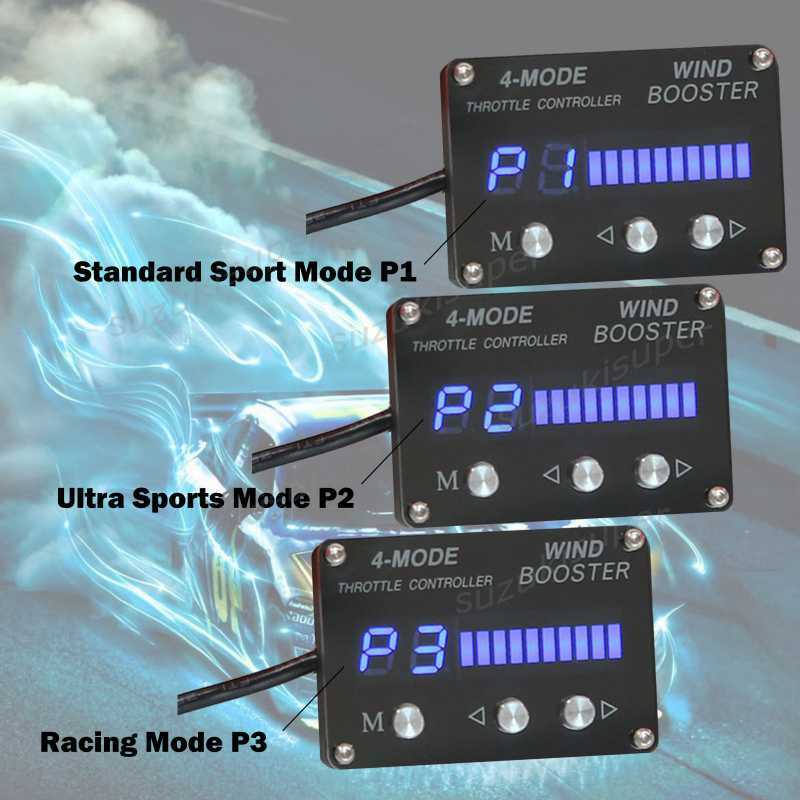 Wind Booster 7-Mode throttle controller can control electronic throttle response speed freely. It can accelerate the response speed of the throttle to enhance the instantaneous speed performance; and can also slow down the throttle response speed to incre. To be able to adjust P3, P2, P1 under manual mode, P3, P2, P1 under auto mode and No Mode. Total 7-mode. To be able to preset sits of P3, P2, P1 mode. Racing Mode P3 - P3 is the racing mode. The throttle response sensitivity is 50% faster than P2 mode. Ultra Sports Mode P2 - By speeding up the throttle's response speed to advancing the instantaneous accelerating performance and explosive force. The vehicle speed bowed, doubled enjoyment in driving. Standard Sport Mode P1 - By speeding up the throttle response speed to advance the instantaneous accelerating performance and explosive force. The Vehicle speed bowed, doubled enjoyment in driving . Normal mode/Standard mode - Restoring the factory settings, reaching a balance between movements and comfort by delaying the throttle's response speed, making the vehicle ride comfort, environmental protection. 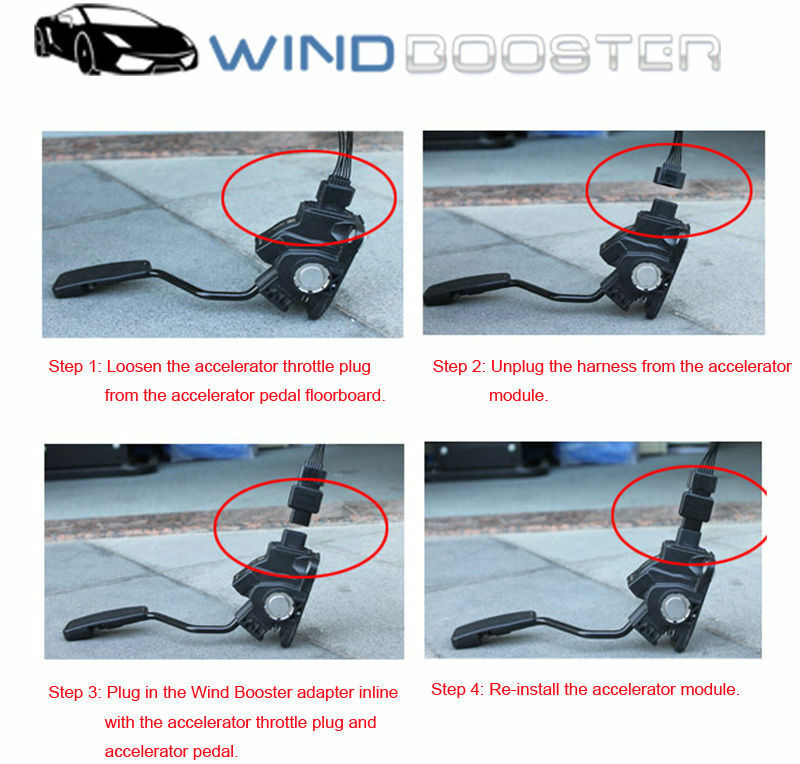 What can wind booster accelerator do for your car? 1/ Help the vehicle speed - WIND BOOSTER can solve the lag problem of electronic throttle and help the vehicle speed, which can make driving pleasure doubled. 2/ Accelerate switch function - WIND BOOSTER can be set "enable" or" off" acceleratiing function. For example, when traffic is good, open accelerated mode car; Poor road conditions like rainy weather, icy winter road, close accelerated mode,to ensure safe driving. 3/ Accelerate level adjustment function - WIND BOOSTER can set the level of acceleration, including" half speed" and" full acceleration" . Half acceleration for daily use to improve the running speed, and maintain safe driving. 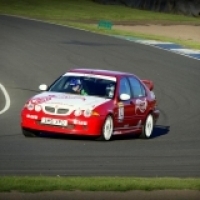 Full acceleration for racing, to make the car accelerated relentless and quick in reaction . 4/ Accelerate mode switching function - WIND BOOSTER can switch" manual mode and automatic mode " . " Manual mode" for manual transmission vehicles," and automatic mode" for automatic transmission vehicles. WIND BOOSTER is set up according to the different transmissions which can make shift more smooth, reduce the impact effectively resulting from the frequent shift as well as avoding the incresing of fuel consumption caused by downshifts frequently of automatic-shift cars. 5/ Avoid engine carbon deposition - Long term use of WIND BOOSTER can make electronic throttle responsive, thus can reduce the carbon deposition on engine,which will keep engine new after a long time. 6/ Avoid sudden rush - WIND BOOSTER solve the problem --lag reponse in electronic throttle . This will effectively avoid sudden rush before the vehicle startes. 7/ Improve sensitivity in throttle, refeuling easily - Through improving the sensitivity of electronic throttle, WIND BOOSTER makes driving easier. Especially when driving fiecely, due to requent overtaking looped, frequent switching of the accelerator and brake, after the installation of WIND BOOSTER, the throttle will become very sensitive, very relaxed, driving will be more easily. 8/ Accelerate to open the throttle, improve static response - The "acceleration" of WIND BOOSTER is achived mainly through increasing throttle's sensitivity in response. when the system realised that the driver has the intention to accelerate, WIND BOOSTER can drive the throttle open as soon as possible through circuit, so that the throttle's sensitivity in response get improved. 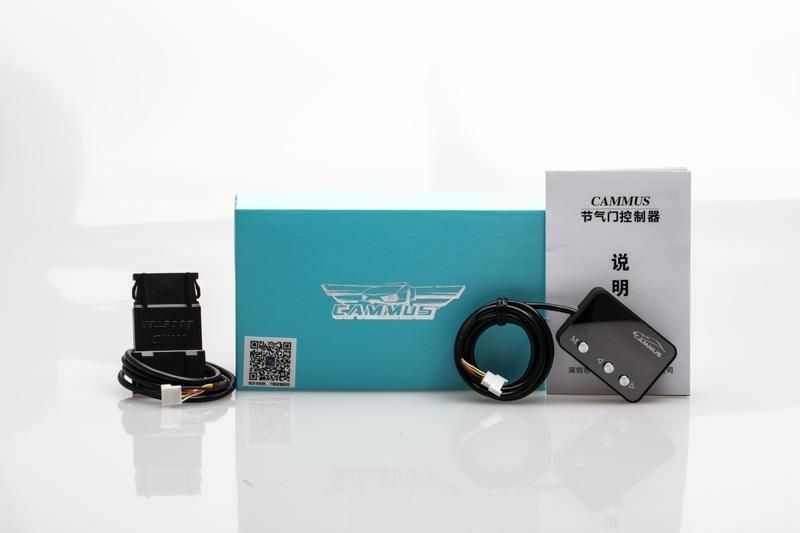 But WIND BOOSTER does not reduce the grading of accelerator pedal signal like a lot of people think about, in fact the accelerator pedal signal remains the stepless adjustment. 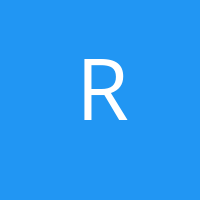 9/ Enlarge the throttle signal growth, enhance the dynamic response - When the accelerator pedal is pulled down, the acclerator will calculate the throttle signal rate of change according to rang of throttle and time calculating the throttle signal rate of change. The faster the change is, the stonger the acclerating requirement is.Then the WIND BOOSTER will increase the rate of change, the ultimate realization of the fast dynamic response effect is better. 10/ Provide false driving style for the ECU to adjust of engine parameters - Modern engine's ECU generally has a driving style adaptive ability, if drivers often pull the throttle down rapidly and deeply, (commonly known as the pull speed ), ECU will gradually think that the driving style trends"intense", then the engine will slowly adjust the throttle, fuel injection systems to obtain the best adjustment factor for this style. 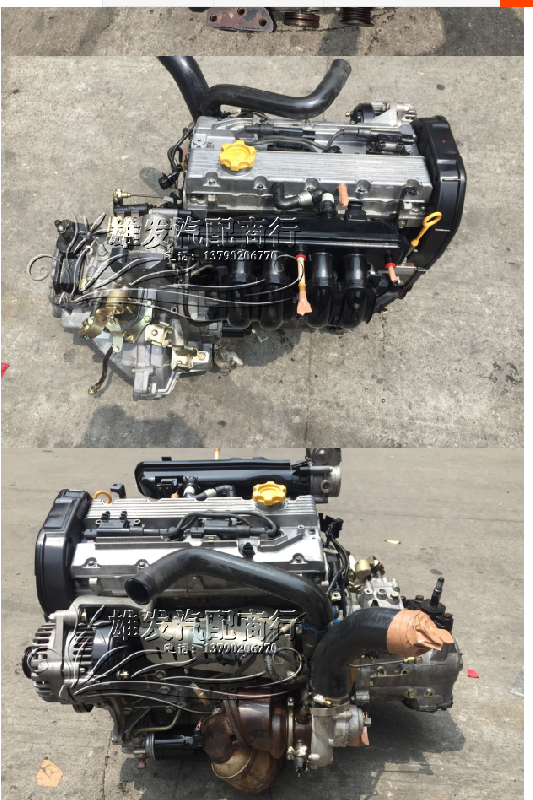 After a long-term use of WIND BOOSTER, even according to " mild" driving style to drive, the engine will still get a "fierce" driving experience , which is equivalent to the adjustment of the ECU's parameters, as time passes, the engine will automatically modify its parameters to fit the style. Just became a member here after getting MG6 1,8T 2012. Have been a member of 75ZT owners club and enthusiast club in the GB a couple of years already. Unfortunately MG6 has front left corner damaged as well as the engine. I suppose you are locating in China. 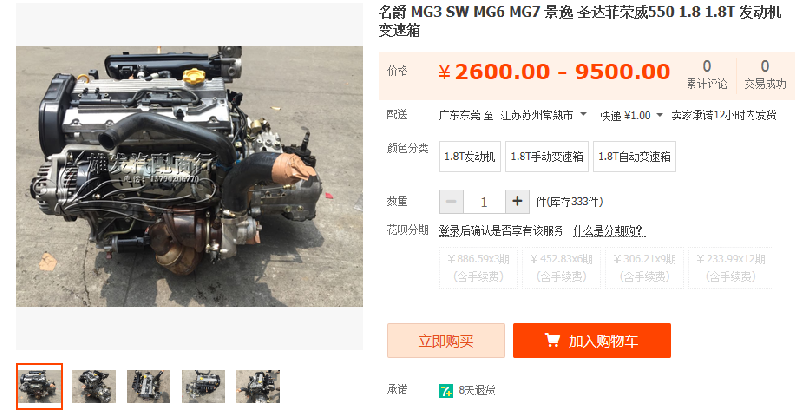 Can you suggest where to find a used MG6 1,8T engine? Other spares hopefully to find easier incl. LHD staff like headlights, dashboard etc. I would be happy for any information. There are thousands of shops like this, I have to use google translation to find most of the parts as I cant really read Chinese.